Fundraiser by Angel Morris : TeamAutumn we will beat this! TeamAutumn we will beat this! What started out as a simple virus turned into something else. 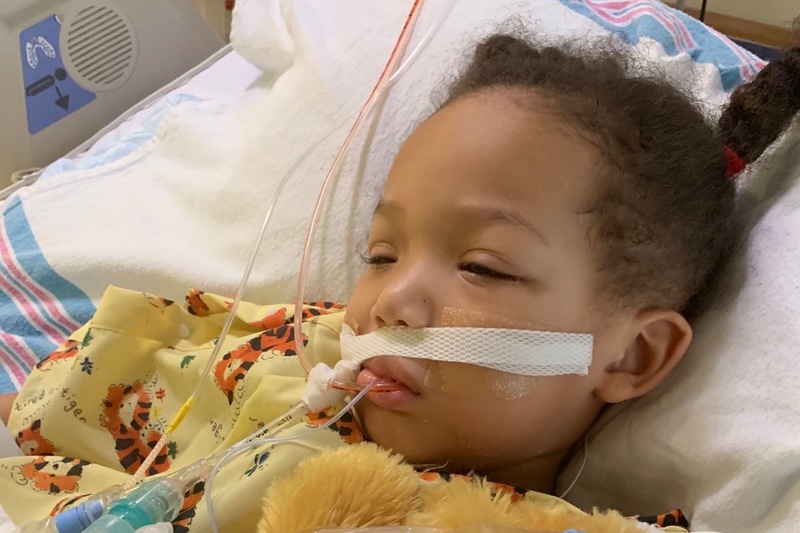 Autumn was taken to the ER for difficulty breathing and later admitted into the hospital for observation to see what was actually obstructing her breathing. The ENT Specialist did a check and found her adenoids to be enlarged and then scheduled an Adenoidectomy with perhaps a tonsillectomy. The ENT Specialist saw that there was an unusual tissue that was growing behind her nose. They then called for a CT Scan. After reviewing the CT Scan, the Specialist came in to speak with Autumn's parents. Letting them know that they will be canceling the surgeries due to a much more dangerous finding. A very extensive growth had grew way beyond her nose and into her skull. 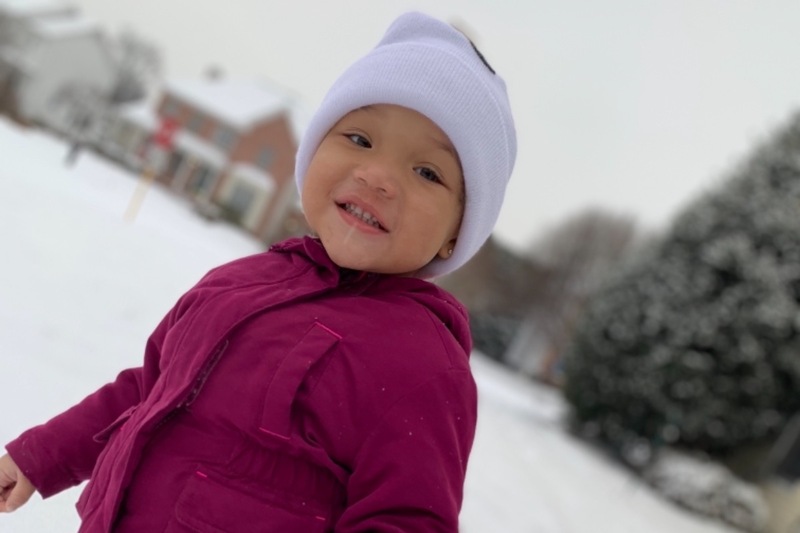 Unable to properly treat this condition, Winchester Medical Center referred Autumn to Children's National Medical Center in Washington, D.C. 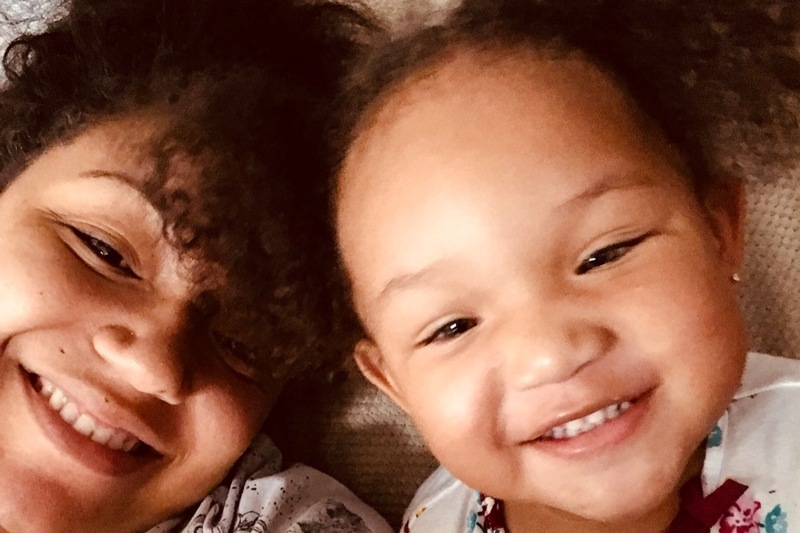 Upon being transported and admitted to Children's Nation Medical Center, Autumn had her breathing monitored for the night. Each breath she took, she was gasping for air, they provided her with Oxygen to assist but after being exhausted Autumn failed to even be able to gasp and breathe in air on her own. In the morning the ENT team felt they had to secure her airway by placing a breathing tube inside of her. 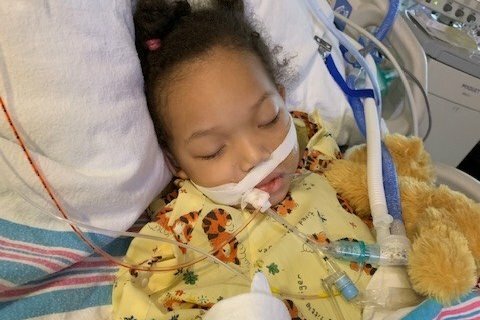 They had taken Autumn in the Operating Room to insert a breathing tube and highly sedate her so that she is able to get the Oxygen she needs. They also inserted ear plugs to drain any and all fluid that is still behind her ears. After reviewing the images from Winchester Medical, the ENT Team put a Scope inside to view more of the mass and scrape the tissue for examination. 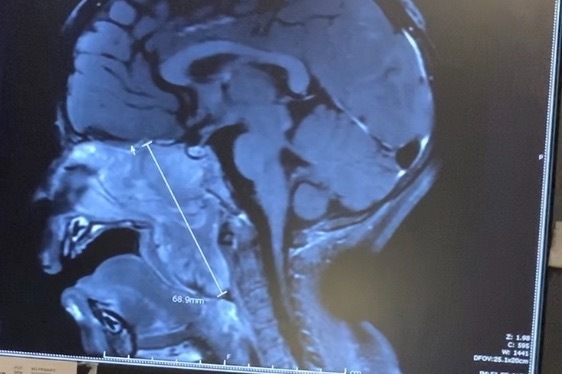 The images and scope had showed that the Mass is very large and well into her skull and around the nose area but has not gone into the throat. They also showed that the mass is non-vascular so the blood supply to the growth is very limited. 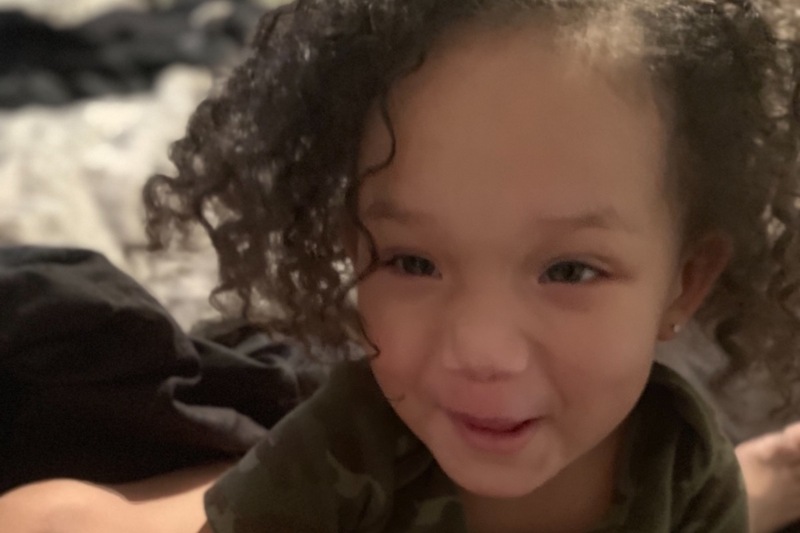 Autumn will be receiving an MRI to answer more questions and we are currently waiting the results as to what type of growth this is and the next course of action, whether Chemotherapy, radiation etc. At this moment both parents are taking off work to be with Autumn in Washington D.C., as they are originally from Winchester, VA. They are currently using their Vacation time to subsidzie their time away from work, we'd like to setup this gofundme to alleviate some of the burden with Medical Expenses that will be incurred over the next few months, travel expenses back and forth to Winchester and D.C. and any additional unknown expenses that may arise. This is not going to be able to cover any of the hurt and pain that they are going through, but let's come together to assist if we can. This is definitely a trying time for anyone that has met Autumn and/or any parent that has a child. We are praying we get through this together. No donation is too small. Overtime we will update this post to keep all informed. Autumn has been diagnosed with Embryonal Rhabdomyosarcoma (currently in the Intermediate Phase) Comp to Stage 3. 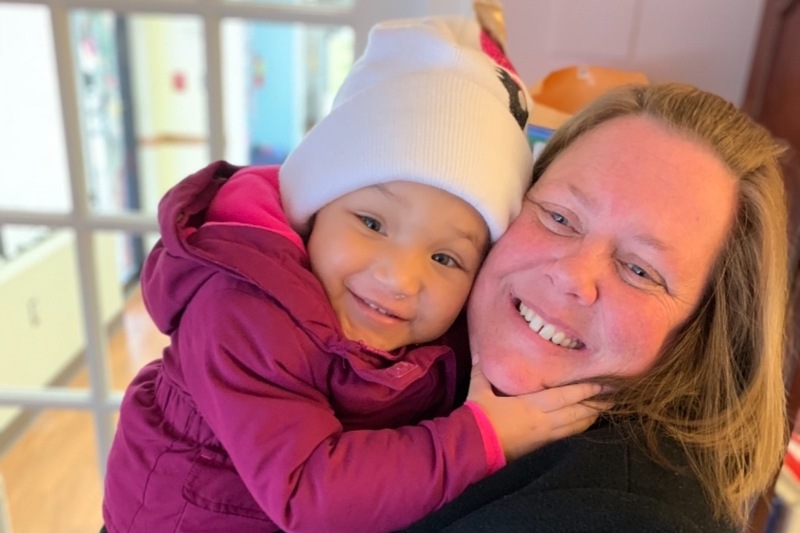 She will be undergoing a small surgical procedure to implant what they call a"Port" this will be inserted into her skin so that when she does her Chemo therapy, her doctors will have easy access. We start our first session of CHEMO today 3/8/19. 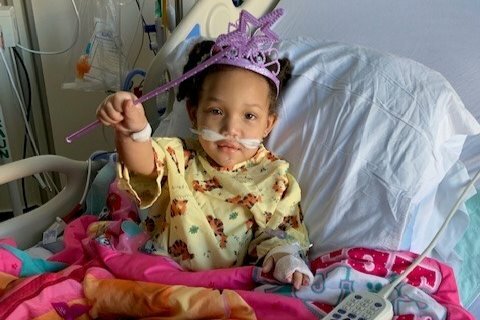 Autumn will not be able to leave the PICU until the tumor shows shrinkage, as it is currently covering her airway. She is on breathing tube at the moment. Prayers the cancer will react positively to the chemo.